Man, was I happy that he picked correctly. 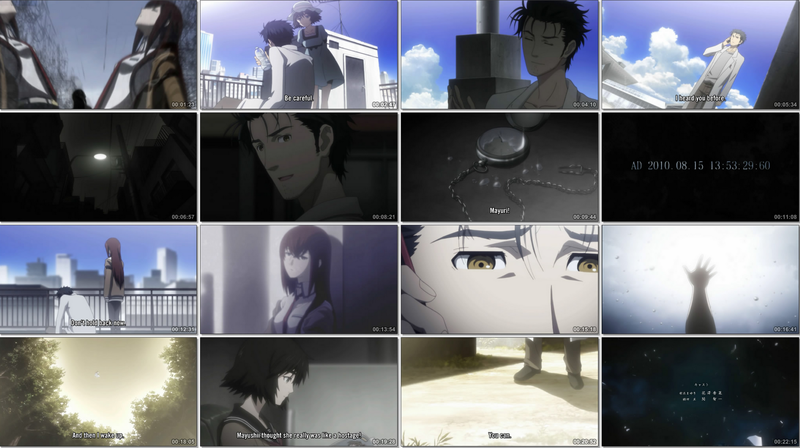 I mean, if one of the two had to die, then Kurisu was obviously the correct choice. The Feyris-ending is looking better now, since no one dies there, at least. He even gets the second-best choice, too. 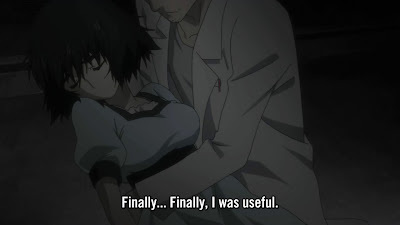 I mean, by picking to not go through, he is already condemning Mayuri to die. 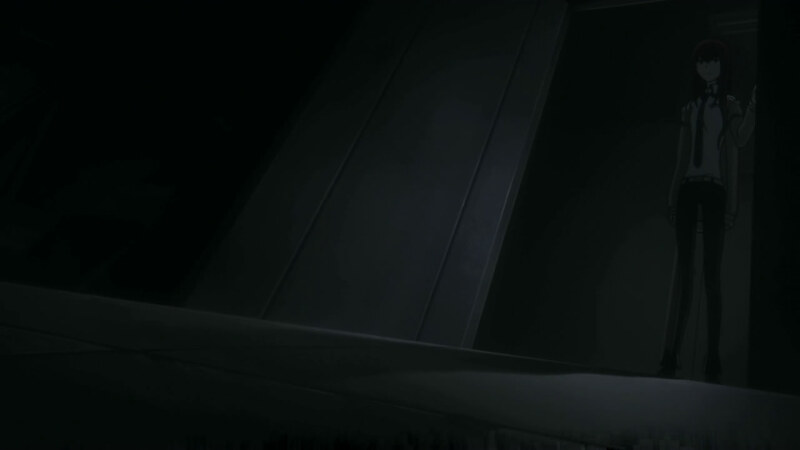 He should be sad about seeing her die, but he should have seen it a million times, on top of the fact that he made a choice by not reversing the final D-mail. The bit of consistency here seemed a bit lost to increase the drama. I CALLED IT! So, she clearly mentions that she can see the world lines changing and that her fate is changing every time. I guess I am not too surprised, 'cause I guessed this was what was going on. Even with kind of the same ability, she kind of just lets it sit there, wasted. It was a nice touch to see the flashback of their life together as just two lab members. It takes some real imagination to make up stories like that on the spot. 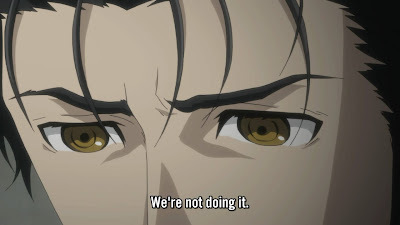 We finally got the cliffhanger-ish ending. I haven't been spoiled yet on how this plays out, but here is my theory. 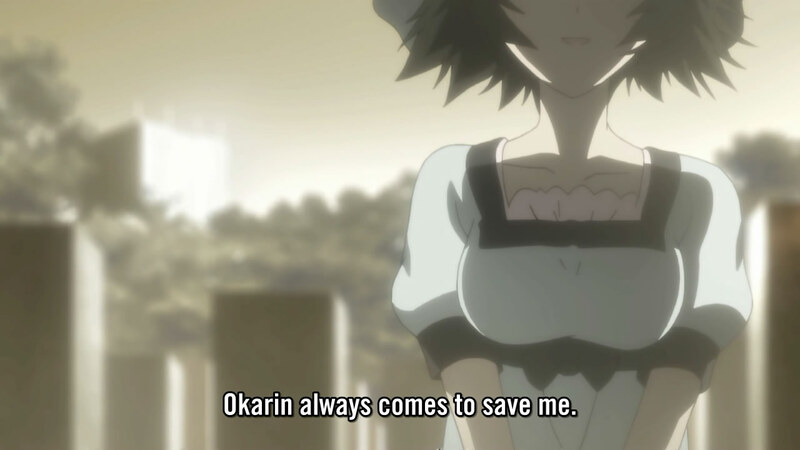 The random backgrounds made me think that Kurisu will volunteer to help SERN to maybe save Mayuri's life, which will start the fateful path of Ookarin and she being enemies. I mean, she was supposed to join the other side, but we still haven't seen any signs of that yet. I would hope this is the first sign. This is still an amazing anime. It's quickly reaching the finale and all I can hope for is that he picks Kurisu, if he can't save both. I don't need grimdark ending here with everyone dying. 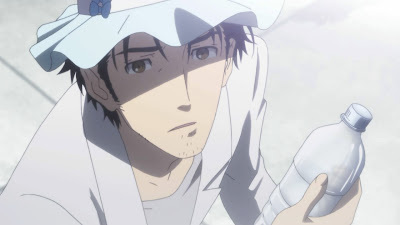 D: Thing are at least looking much better at this point than of Chaos;Head, so that is a huge plus. I'm definitely looking forward to playing the VN once they finish translating it.